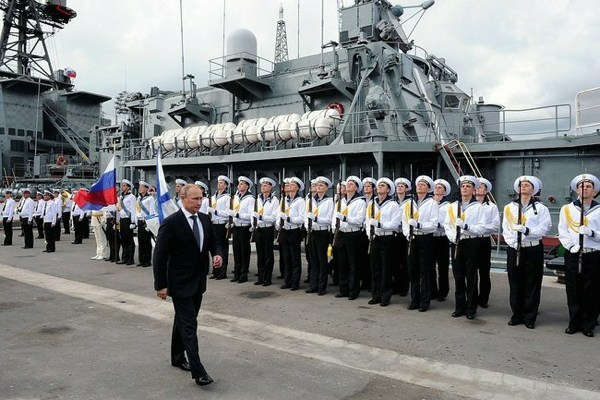 Russian President Vladimir Putin visits the anti-submarine ship Vice Admiral Kulakov, Novorossiysk, Russia, Sept. 23, 2014 (photo from the Russian Presidential Press and Information Office). Last week, Russian President Vladimir Putin approved a revised national military doctrine. The updated text aligns better with recent Russian government statements and policies than the previous version, issued in 2010. In particular, the new doctrine presents a lengthier list of threats while also recognizing Russia’s revived military capabilities.